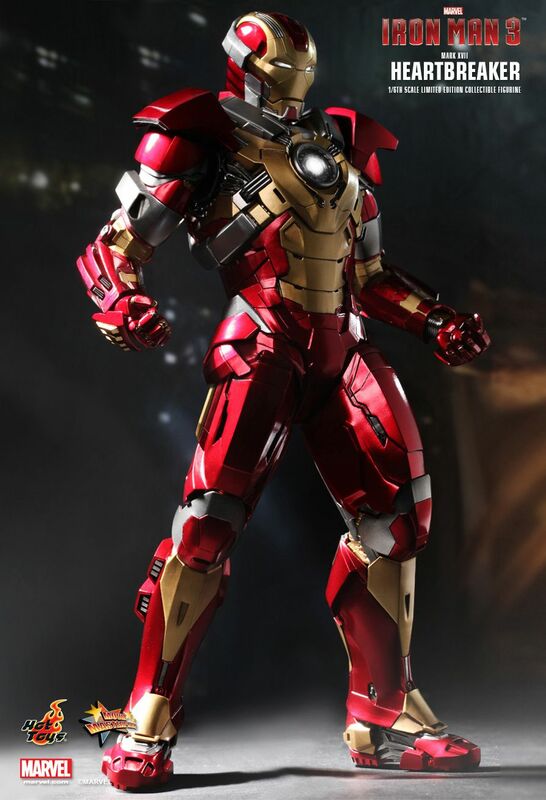 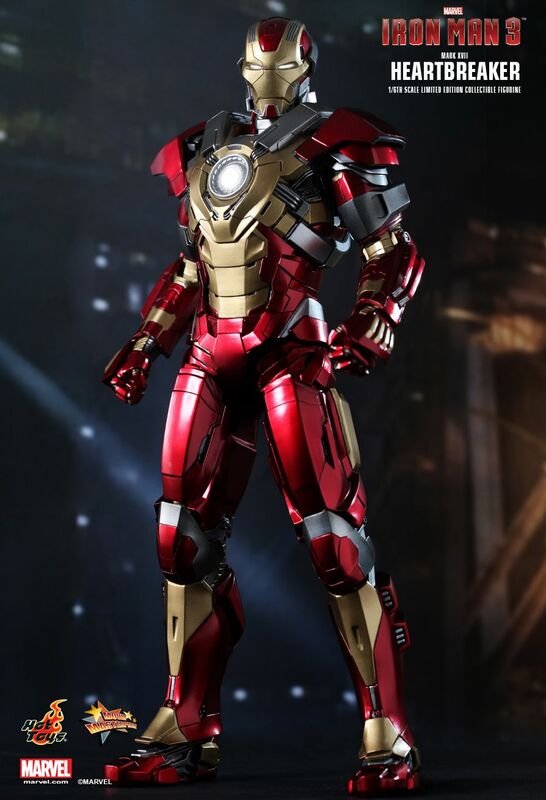 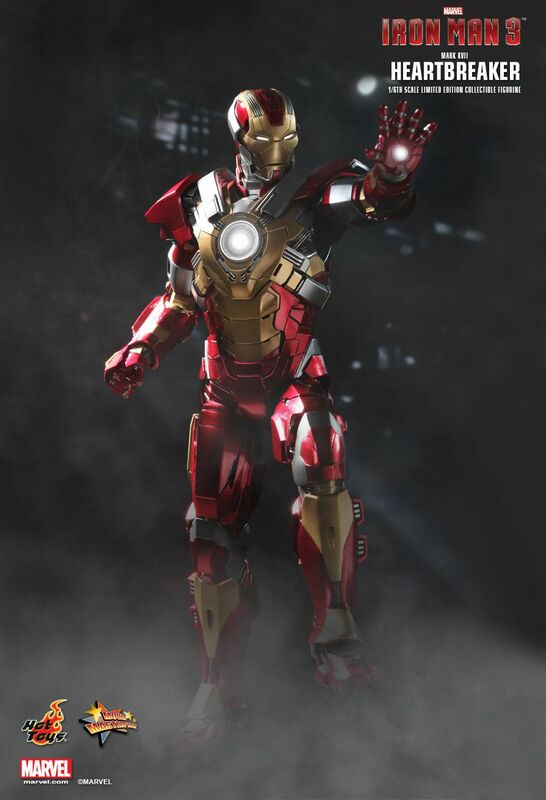 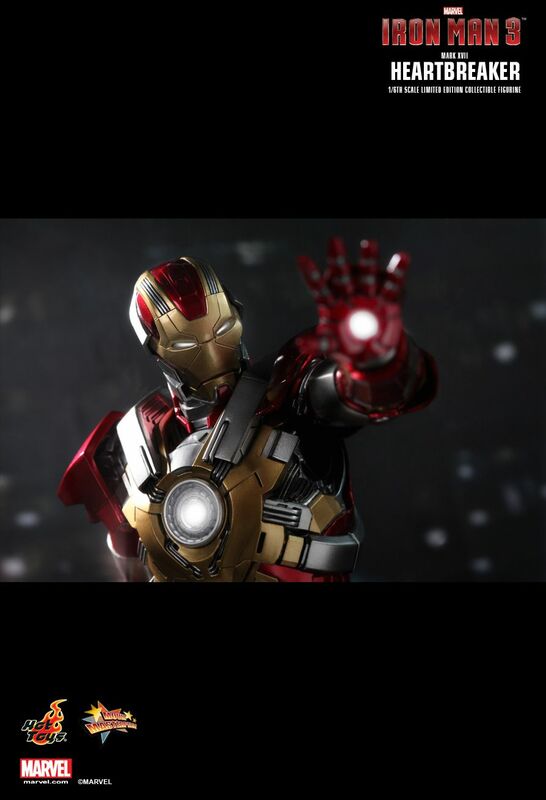 Tony Stark has built a number of new suits in Iron Man 3. 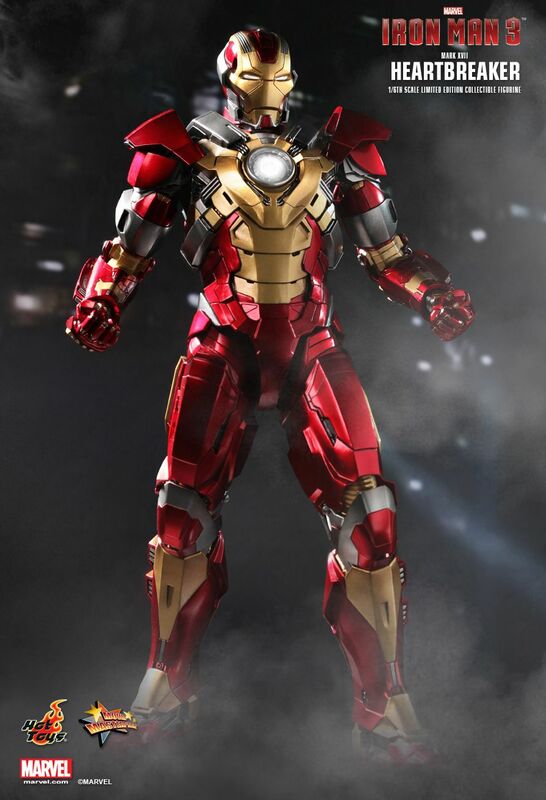 Aldrich Killian and his Extremis soldiers proved to be a formidable force and Tony has to initiate the “House Party Protocol” to confront them. 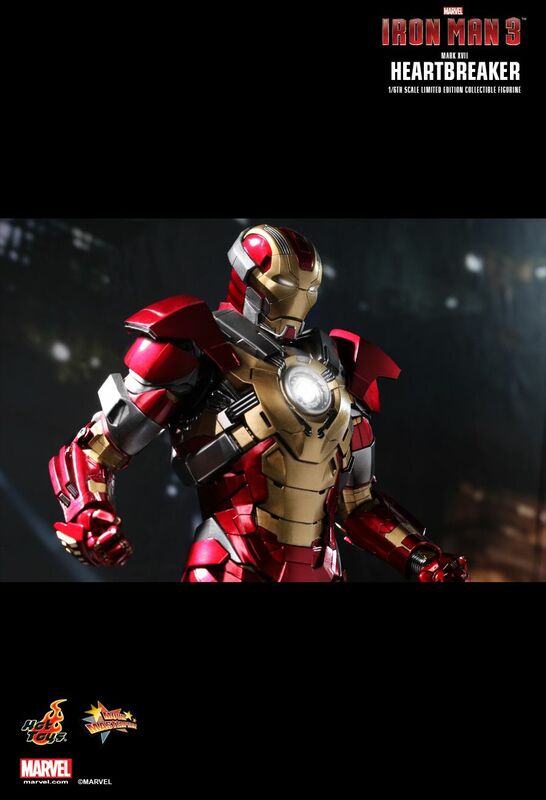 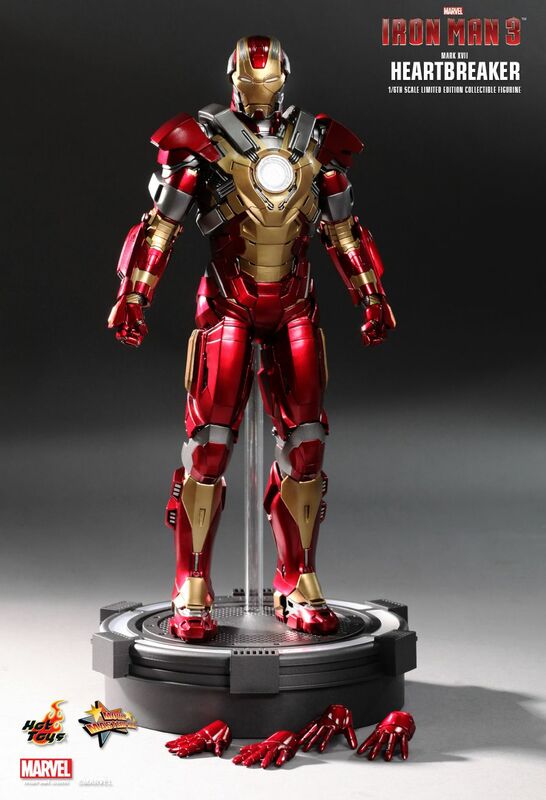 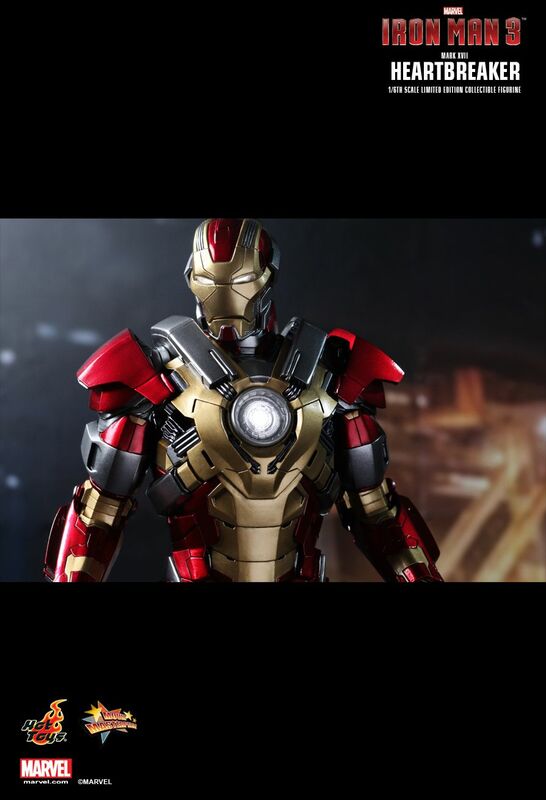 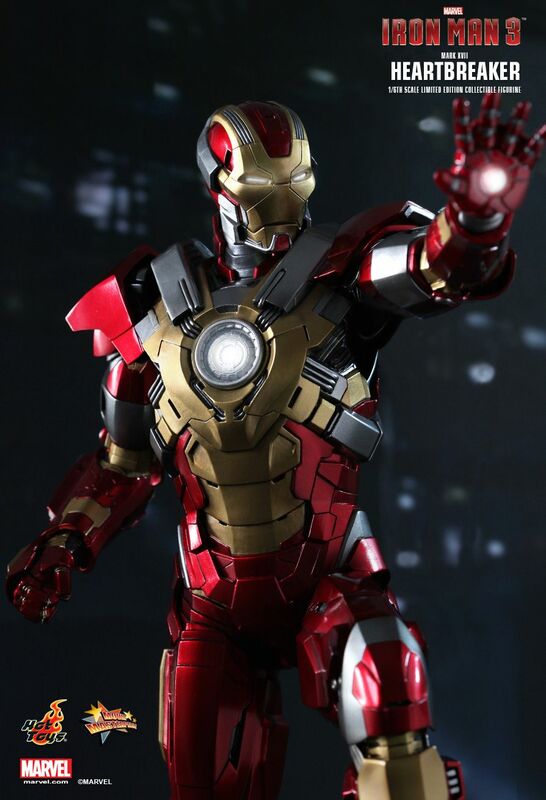 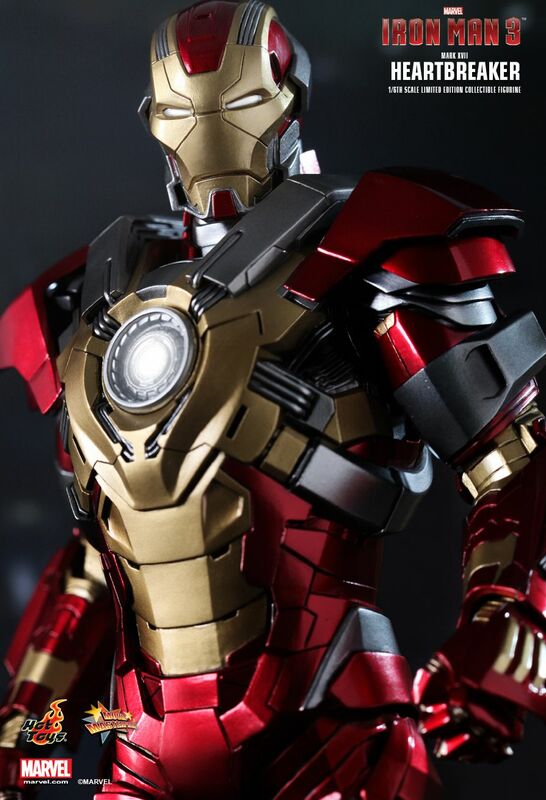 We are excited to present one of the brand new armors from Tony Stark’s “House Party Protocol” – 1/6th scale Heartbreaker (Mark XVII) Limited Edition Collectible Figurine, the Artillery Level RT Suit. 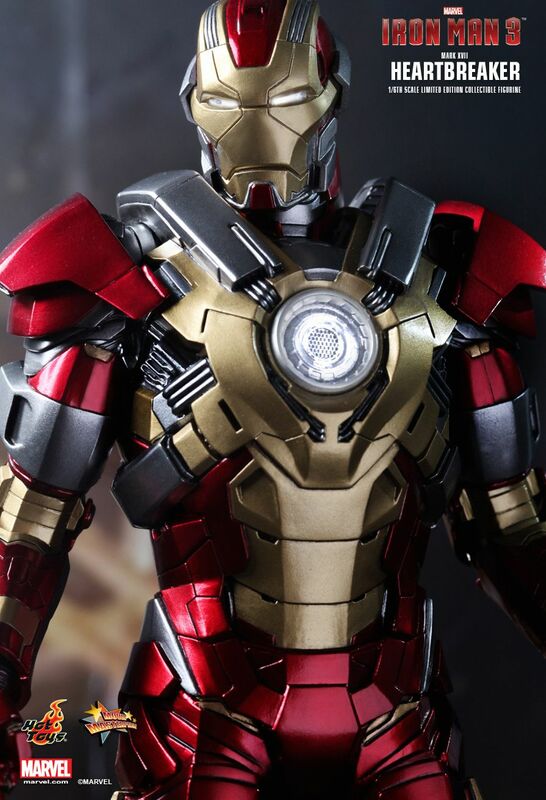 It features red and gold-colored armor and LED light-up functions.